Courgettes ‘Ronde de nice’ (Cucurbita pepo 'Ronde de Nice'): growing, planting, caring. THE courgette from Nice, France. This is a delicious French heirloom variety. The flesh of this round, green zucchini is very tender and fine-flavoured, making it an ideal squash for stuffing. A popular variety for home gardens and specialty growers. Vigorous, quick-growing plants. 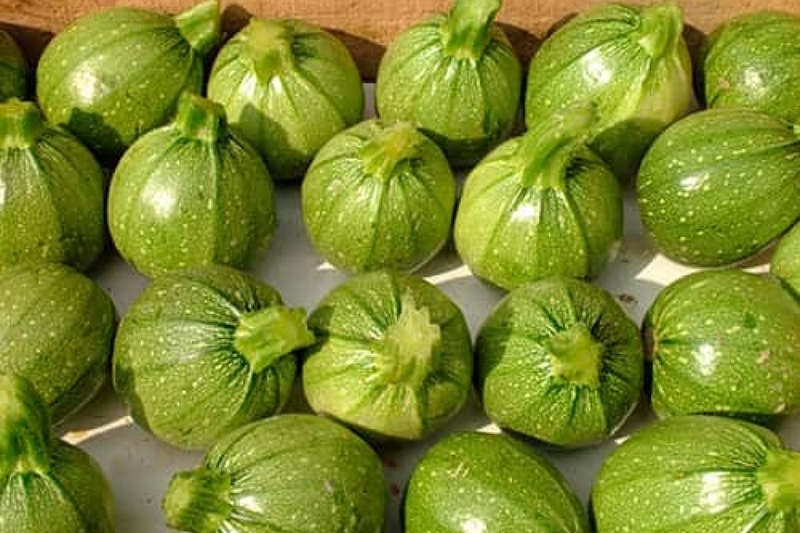 The zucchini 'Ronde de Nice' has the peculiarity of not creeping far away and it produces green and round fruits.